Our sincere thanks go to the many organisations, trusts, philanthropic institutions and individuals that have supported us in the past, or continue to support us, through donation of finances, services, products, work experience opportunities or through the development of mutually beneficial relationships. Our major supporters for the 2016/2017 financial year are listed below. Freemasons have been supporting our Sibling Program since 2012 and have pledged to continue doing so into the future. Another generous donation of $40,000 – a further increase – means the Sibling Program is now secure for the 2017 – 2018 year. This latest donation takes the total contribution from Freemasons to $200,000! Sibling support sessions and activities for different age groups and a series of camps during the year provide vital opportunities for friendships, fun and emotional and practical support to siblings of children with disabilities. 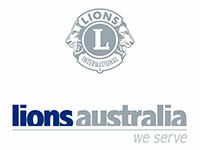 In 2016 the newly established Ferntree Gully Lions Club approached IOE to become their charity partner – assisting them with fundraising projects to fund an IOE family camp in 2017 at the Lions Australia owned camp site Licola Wilderness Lodge in Gippsland – a welcome addition to our Family Camp Program. Following several fundraising BBQs, a Trivia Night and Lions Club Christmas Cake sales the Lions Clubs involved announced a donation of $15,000 towards the costs of the new family camp as well as potentially further support to fund other Family Support Programs. We greatly appreciate all the efforts of the local Lions Clubs and look forward to a long partnership into the future. In 2016 Kmart Knox chose Interchange Outer East to be their charity partner for their annual Spare Change Program. The opportunity invited customers to donate their spare change when completing their purchases at the registers or self-serve checkouts and raised $1000 over a 10 month period. Nike has shown great support of IOE families through the involvement of their team of corporate volunteers in the running of our December 2016 Family Carnival and our 2017 Family Fun day at Box Hill plus a generous donation of items of sports wear to a family, enabling their children to participate in local sports activities. $4780 to run 2 film workshops for youth and contribution for March 2016 Dive In Cinema youth event (IOE’s Activ8 program) where the films will be shown. $1500 for the formation of a new Multicultural Carer Support group in Manningham as part of IOE’s Carer Support Program. $2000 for our annual “YOUth BE HEARd” event run during National Youth Week by our Volunteer Coordination Team. The grants scheme has funded our Youth Week events for over five years. $1500 to support IOE’s Family Fun Day and Services Expo held in Yarra Junction, which provided Yarra Valley families access to a range of information from local community services and disability service providers plus fun activities for the whole family. $2700 towards the running of IOE support groups for families and carers in the Yarra Valley. $1000 towards the running of IOE support groups for families and carers in the Yarra Valley. $827 in support of the IOE Yarra Junction Family Fun Day and Services Expo. $4750 sponsorship grant for parent child workshops run by IOE (unspent).